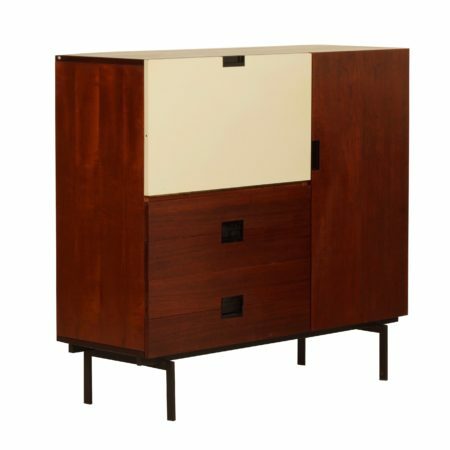 Dutch highboard with secretary from the 1960s. 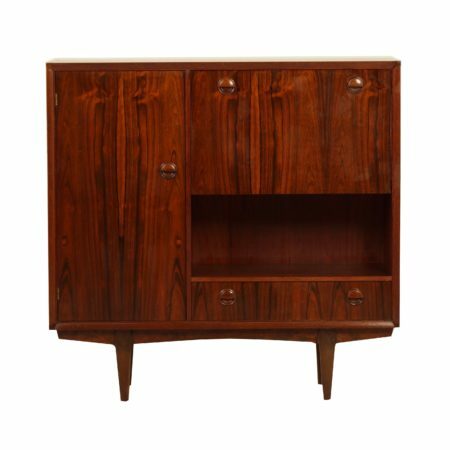 This vintage teak cabinet has two drawers, a secretary and two doors. Ideal as a desk for the laptop or bar cabinet. Considering the age in good condition, some circles on top (less bad as shown on the picture). The price has been adjusted accordingly. 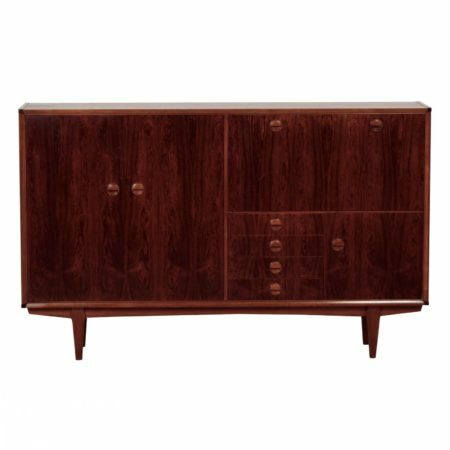 Material: teak, teak veneer. Dimensions: h x w x d = 103 x 151 x 37 cm.